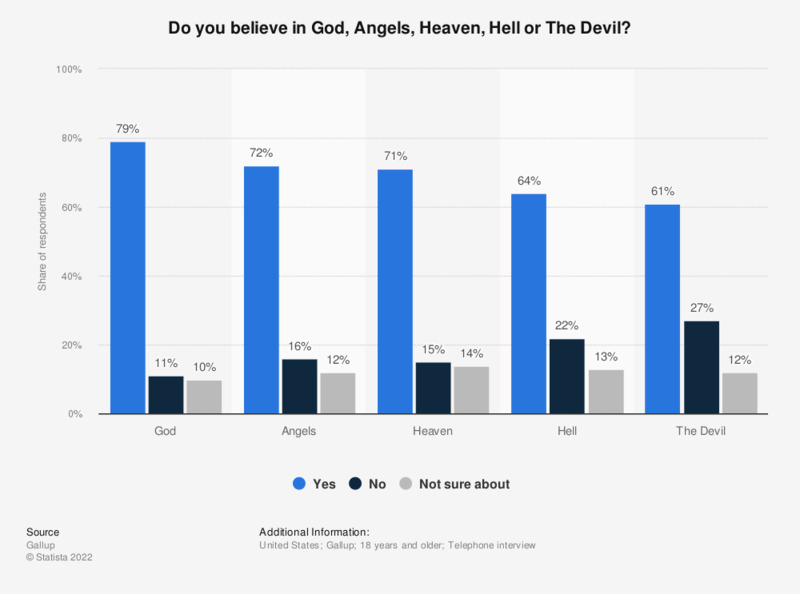 This statistic shows the results of a survey among Americans on their belief in the concepts of god, heaven and hell in 2014. As of 2011, about 75 percent of respondents believed in hell. Religion: Are you certain or uncertain about the existence of a God? To what extent, if at all, do you believe in God?